In the wake of several deadly mining pit collapses, the government today announced that it has convened an inquiry into the matter. The issue of safety in the mining sector is one of paramount importance to this administration. In recent times, a number of reports have reached the Ministry of the Presidency and the general public about the collapse of pits and other incidents resulting in the injury and some cases, deaths of miners. More importantly, reports also indicate that regulatory agencies (namely the Guyana Geology and Mines Commission) are restrained by the “Orders of the Court” from executing their mandate that in many instances may have prevented injury and the loss of life. Our Human Capital is of pivotal importance to the sector and the country as a whole and cannot be lost to what may appear to be avoidable situations. In this regard, Hon. Raphael Trotman, Minister of Governance, directed by His Excellency President David Arthur Granger, has launched an inquiry into the collapse of mining pits that have resulted in the injury or death of miners. The inquiry is to be conducted by a multi-stakeholder Committee, who will work independent of the Commission but is authorised to request any relevant information from any employee through the Commissioner of GGMC in order to carry out its functions. 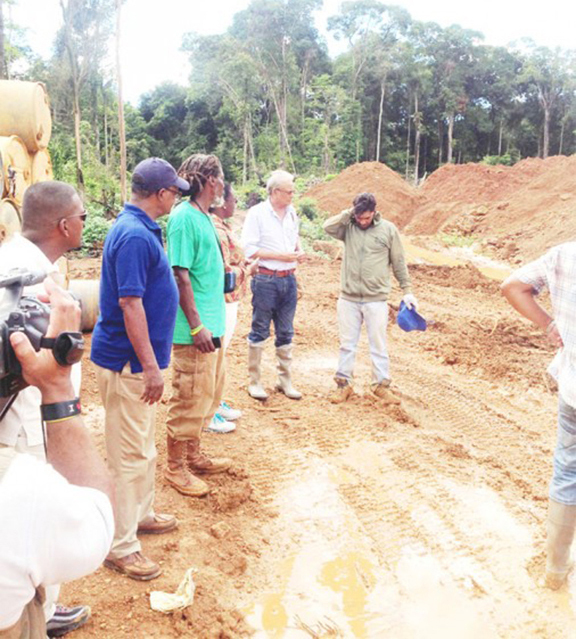 The three-member Committee will comprise individuals knowledgeable and competent in their respective fields and will include the Guyana Gold and Diamond Miners Association. It’s expected that by July 31, 2015, a Report detailing the Committee’s findings along with recommendations for immediate and long-term actions will be submitted to the Minister of Governance for implementation.